I was not really aware of RFID blocking sleeves until I received Blockit RFID Blocking Credit Card Sleeves to try. If you are like me then let me explain it to you in short. Though we have regular credit cards but recently ICICI has launched radio frequency identification credit cards that store information including the card number, the cardholder’s name and the expiry date. They do not include the three digit security number on the back on the card. Since RFID technology work wirelessly it is more susceptible to high-tech theft through digital reader. So today I am going to review Blockit RFID Blocking Credit Card Sleeves that prevents your credit cards from theft and digit pick pocketing. You get a pack of 6 blocking sleeves of different patterns and it is priced at $14.95 for 6 blocking sleeves. You can buy online HERE. 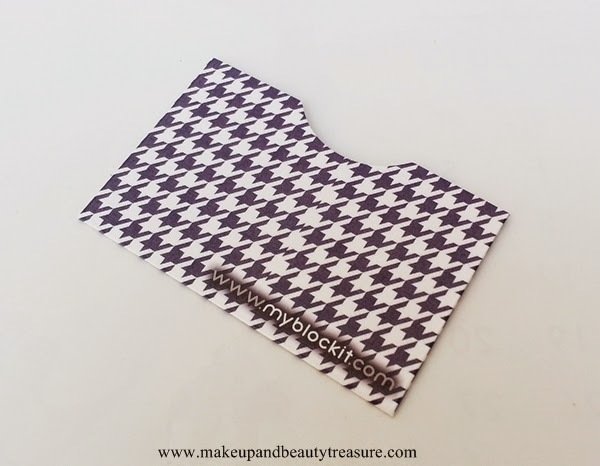 Blockit RFID Blocking Credit Card Sleeves comes in six different colored patterns. 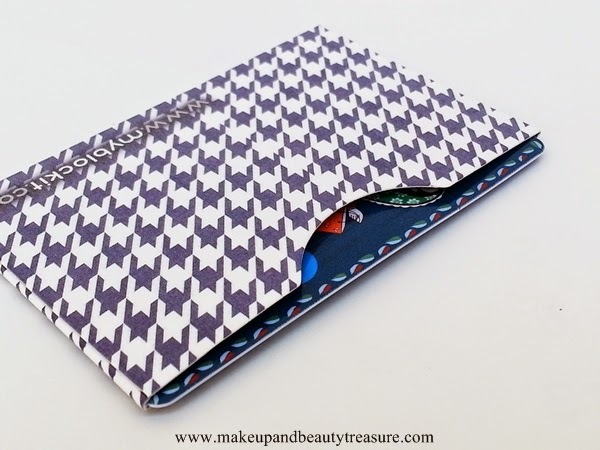 I got the hounds tooth pattern in white and dark blue color that looks really cool and chic in my wallet. At first I thought it is made out of paper but boy I was wrong. It is made from copper layer coated with a glossy paper and a layer of smooth aluminium interior that protects RFID chip on the cards. It is just the size of a regular credit or debit card. It holds only one credit or debit card. The card fits nicely in the sleeve and does not tend to get loose. At first, I found it difficult to take the card out but with regular usage it has slightly loosened and you can take out the card with ease. The sleeve fits easily in the credit card slots of my wallet. It looks stylish and pretty and I got many compliments whenever I take it out to make payments in stores. It is definitely a high quality blocking sleeve. I have been using it for more than two weeks and I have not seen any signs of wear and tear (May be because I handle my things with care!). Though I do have one RFID credit card but I have not faced any issue of theft and just use it for protection and of course for style statement. Digital pick pocketing is quite common in US/UK and these sleeves are quite helpful there. My card fits in easily. • Various designs to choose from. 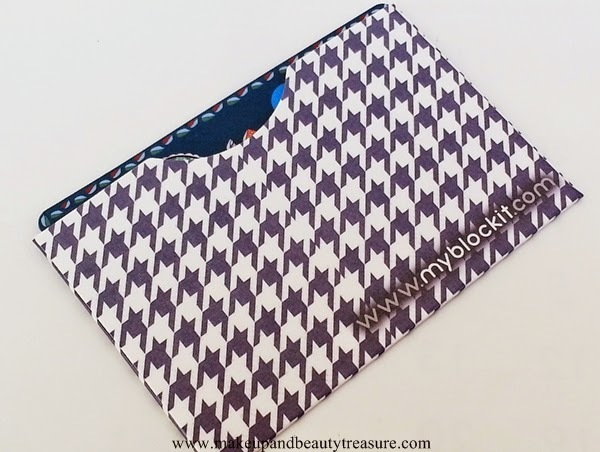 Blockit RFID Blocking Credit Card Sleeves is definitely a high quality blocking sleeves that protects your precious debit and credit cards from theft or digital pick pocketing. It comes in various designs and I feel houdstooth is the best among all. They have a glossy finish and snug fits easily in my wallet’s credit card slot. I would definitely recommend it to everyone who is using RFID credit cards. 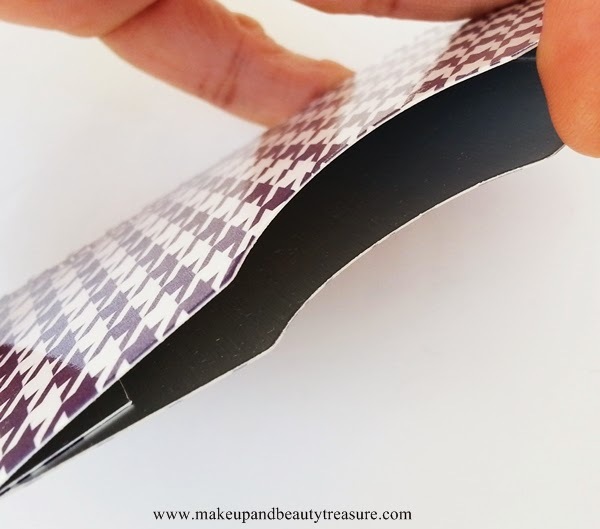 Have you tried Blockit RFID Blocking Credit Card Sleeves? What do you think? Share in the comments section below!